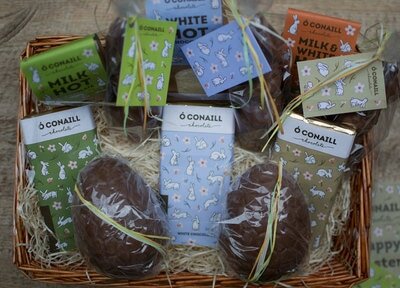 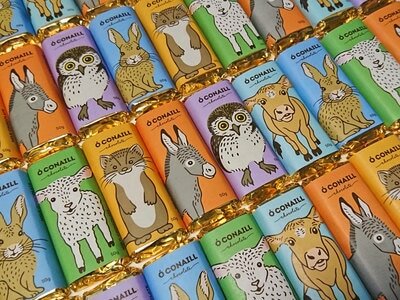 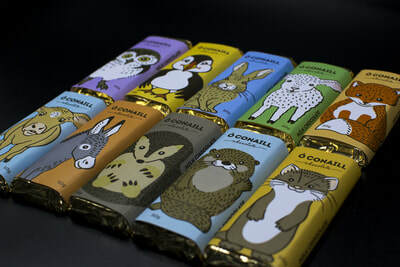 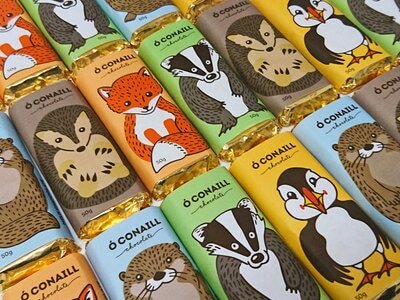 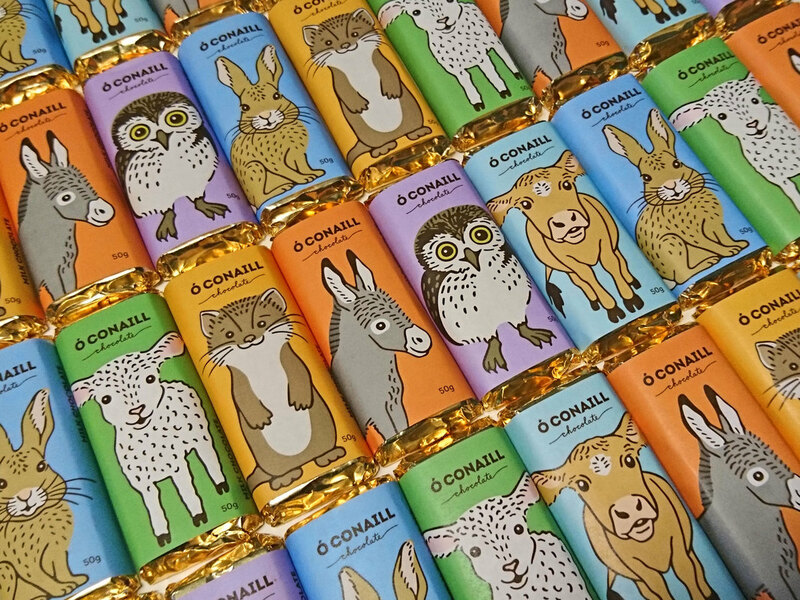 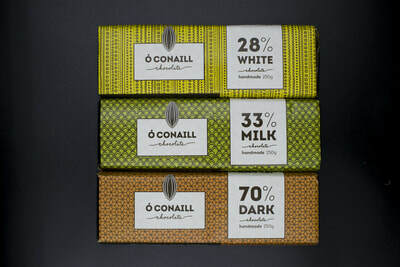 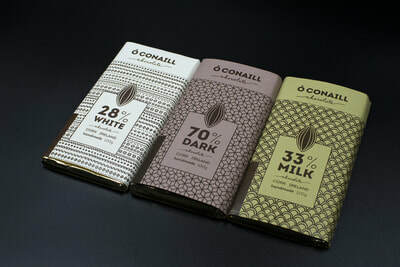 We make a range of milk, white and dark chocolate bars. 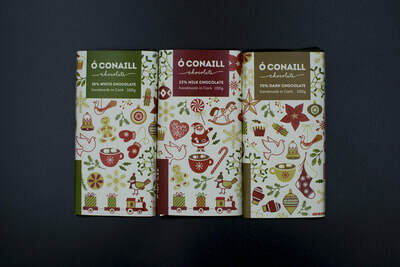 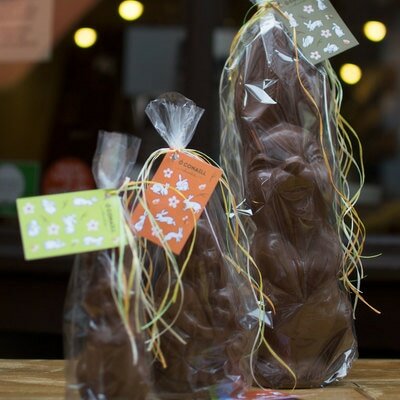 We handmake and handwrap our chocolates and bars according to traditional methods. 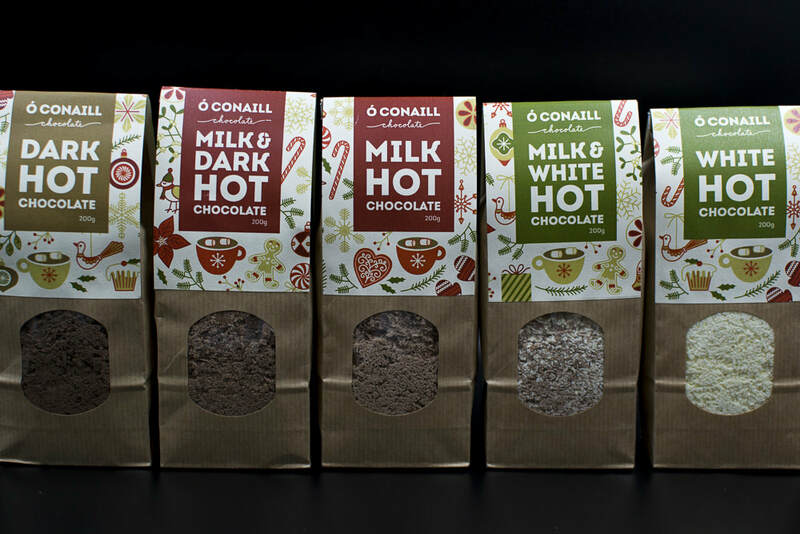 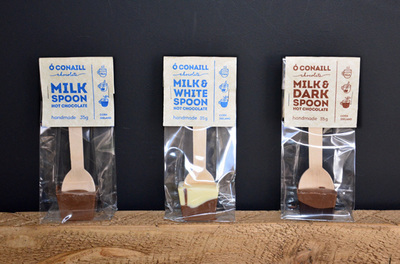 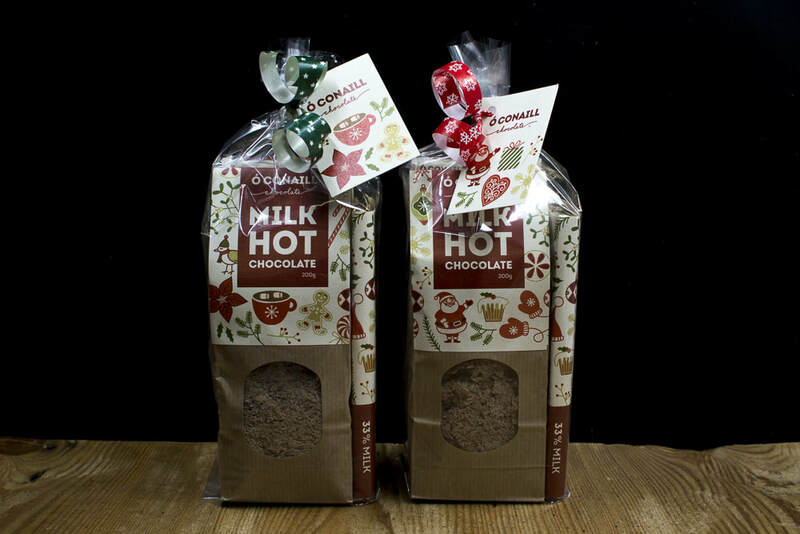 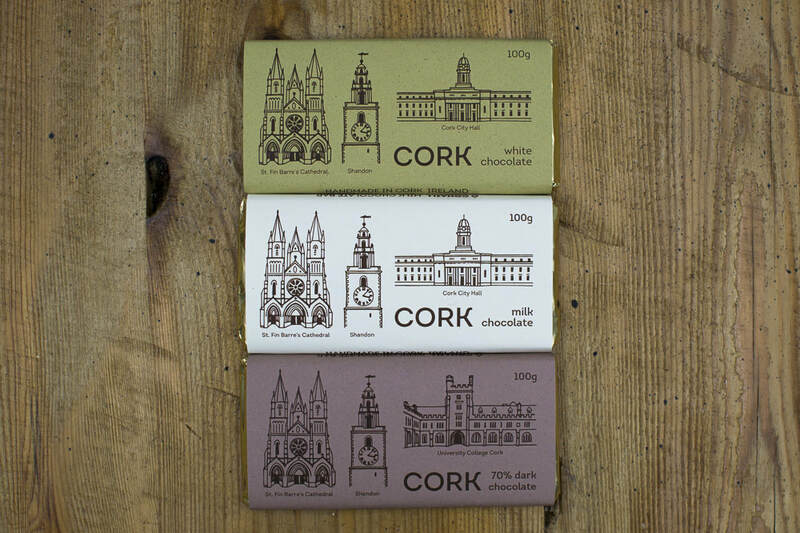 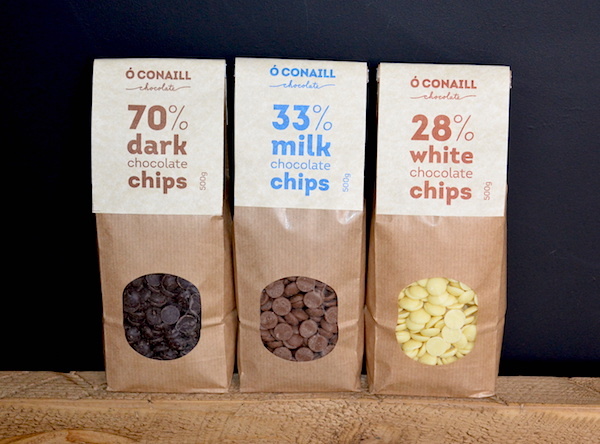 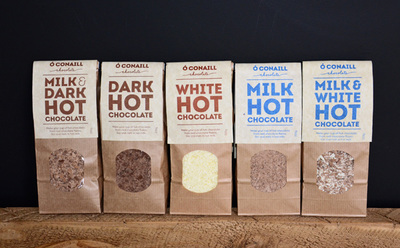 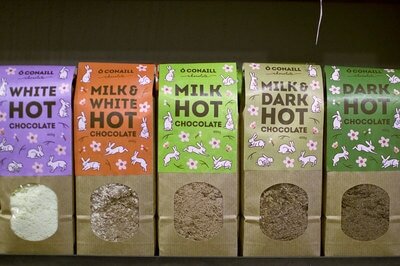 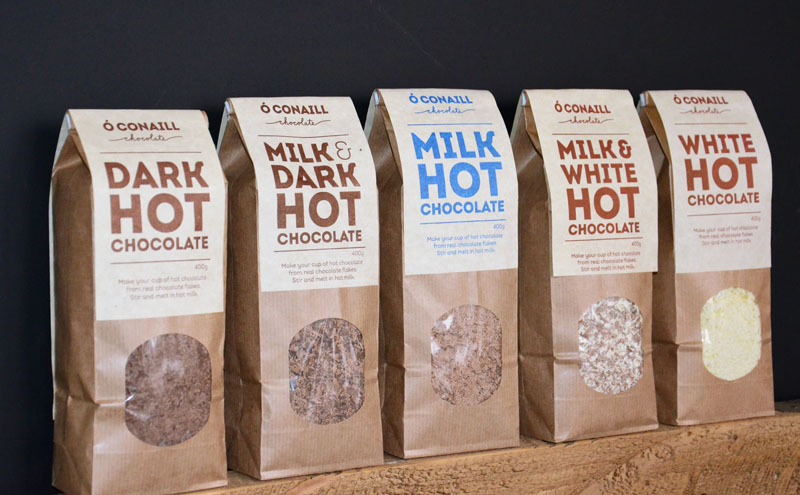 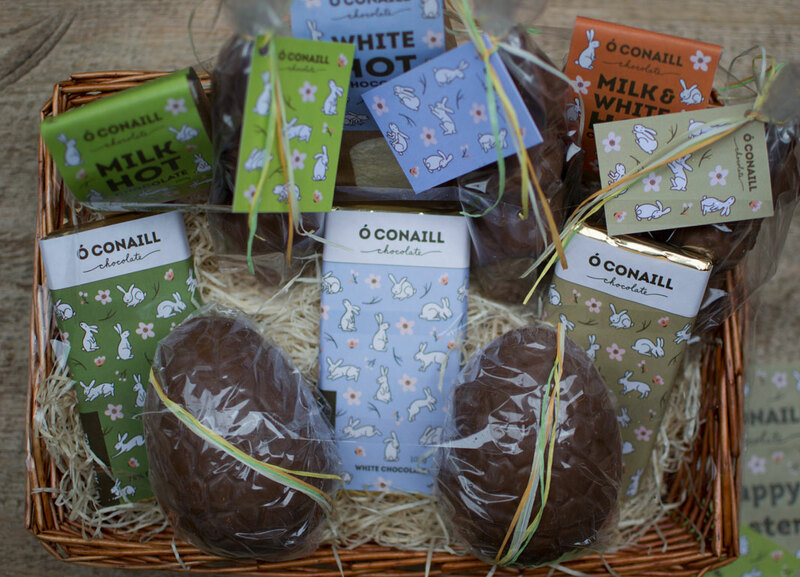 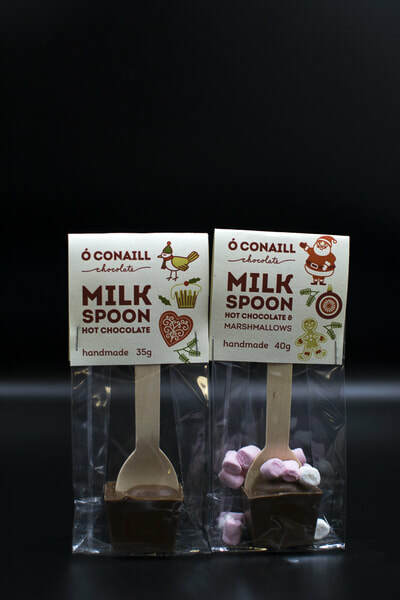 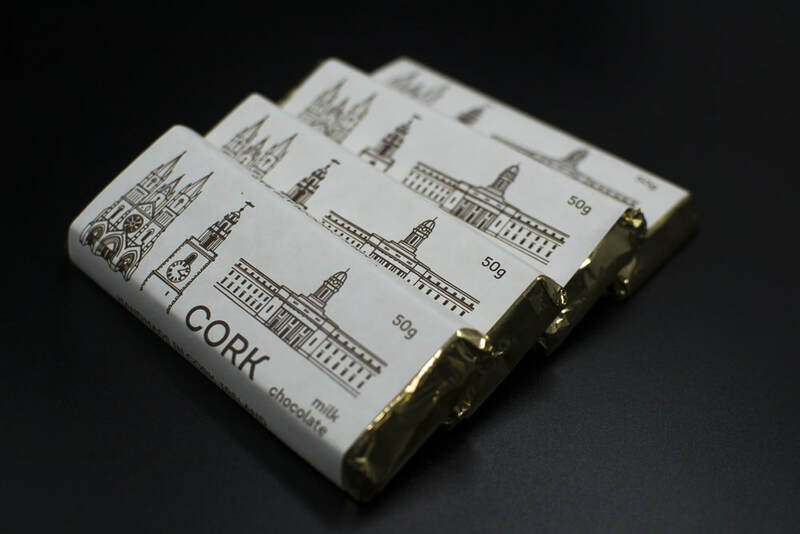 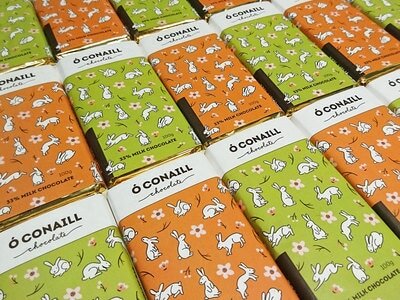 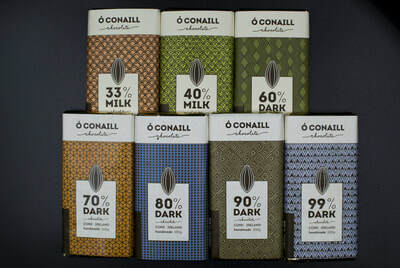 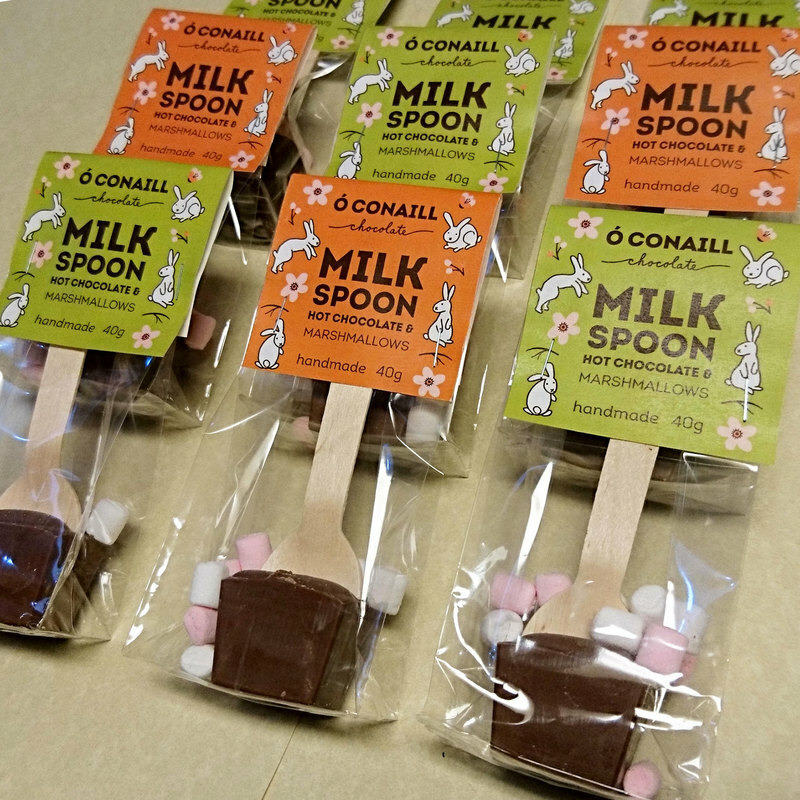 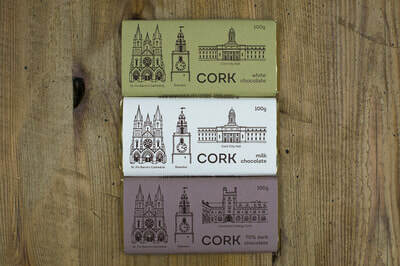 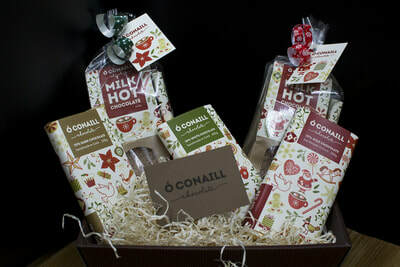 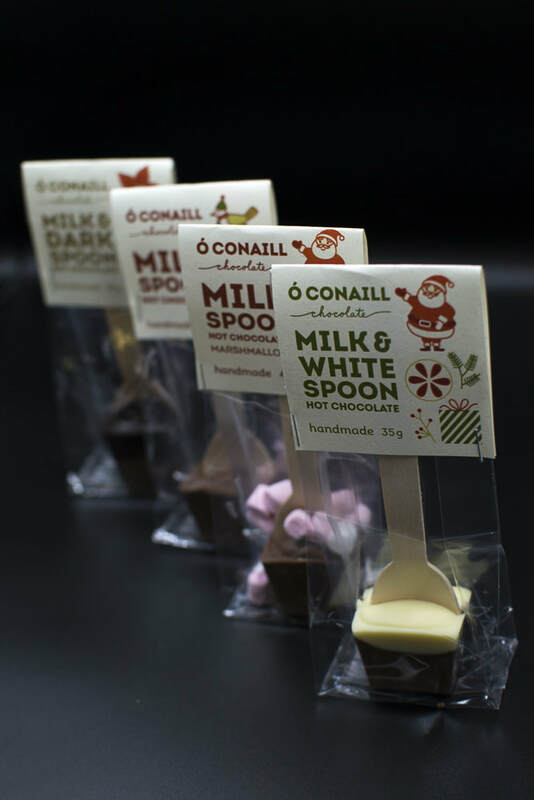 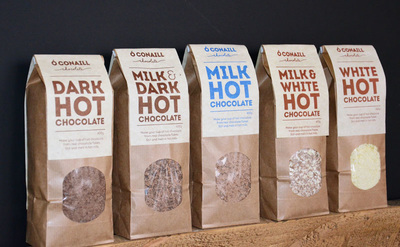 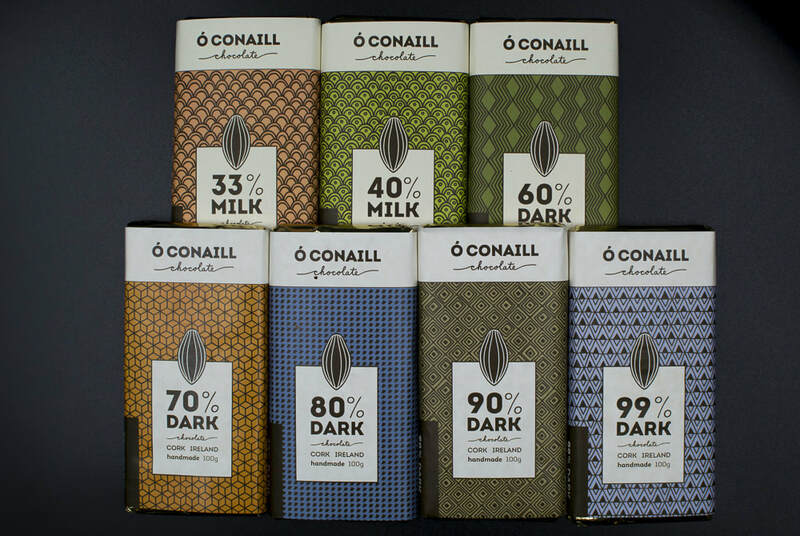 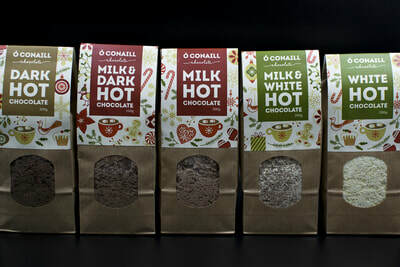 Available in our shops in Cork and in select independent foodstores nationwide. 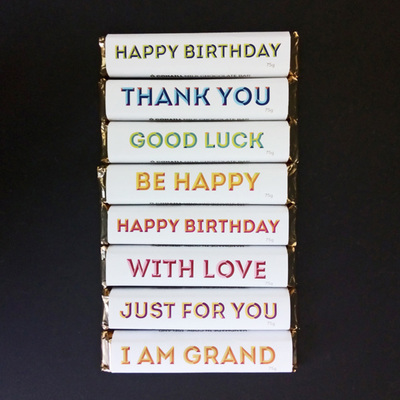 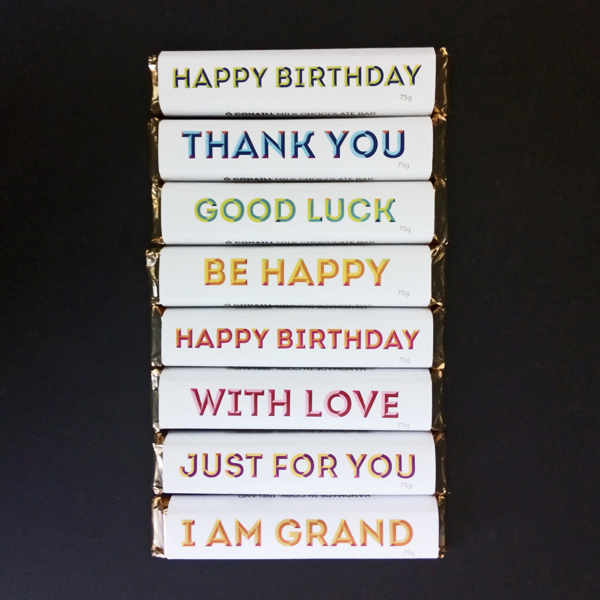 ​Special Cork Selection, gift, kids and custom message wrappers. 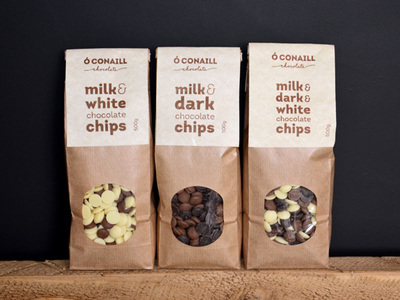 Chocolate chips for baking, melting and chocolate fountains. 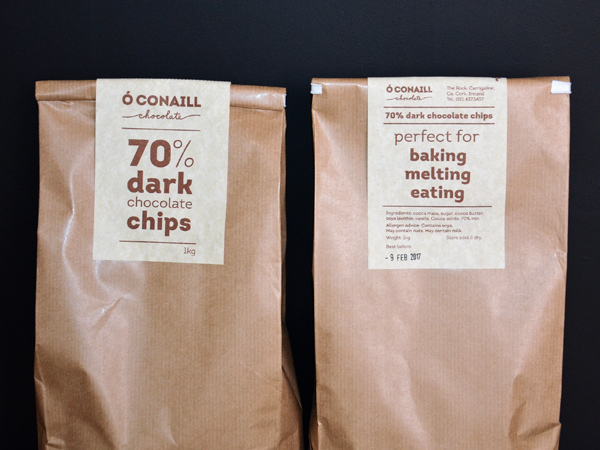 Bags of 200g, 500g and 1kg. 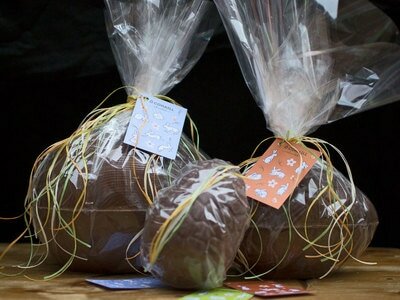 Chocolate hurlies and gift kits. 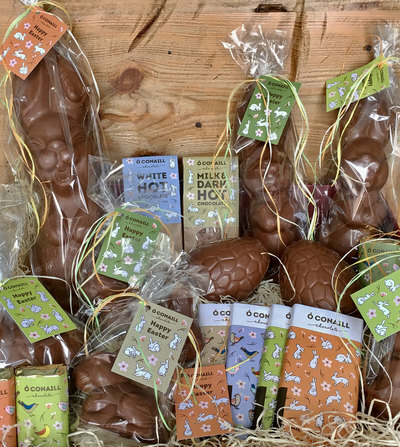 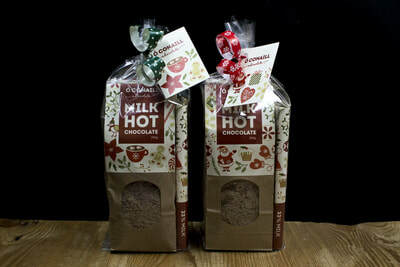 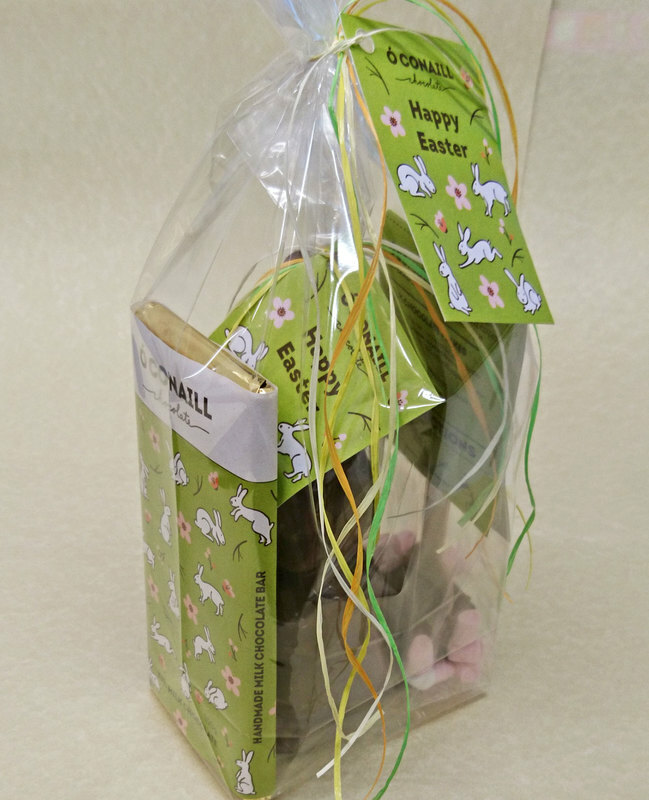 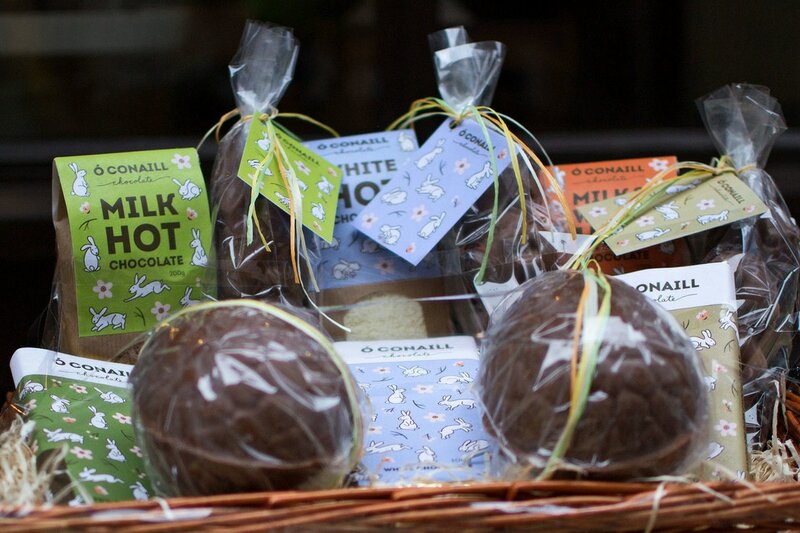 ​Assortment of seasonal products for Easter and Christmas, Mother's Day and Valentines. Chocolate figures and custom wrappers.